Q & A with leading Arkansas professional fishing guides. A: Bass, walleye, bream, crappie and striper. Q: What regions or bodies of water do you fish? A: Lake Ouachita, Lake Hamilton and DeGray Lake. Q: What is unique about your guide offering? A: I am the cook at Mountain Harbor Resort. I'll not only put you on fish, I'll cook your catch in the restaurant at the end of the day. Q: How long have you guided professionally? Q: What is your favorite style of fishing? A: I love to drop shot. Q: Who taught you the most to prepare you to be a professional guide? A: Jerry Bean, also a guide on Lake Ouachita. He taught me about finding schools of fish. Q: Who is your favorite Bass Pro? A: The Arkansas River from Dardanelle to Dumas, Lake Maumelle, Greers Ferry and Lake Ouachita. A: I offer senior and military discounts of 15 percent and there is no charge for children under 12 years of age. I'm a past educator, I teach water quality, safety and an appreciation of our environment. During fishing trips I talk about the species of fish we will catch, their feeding habits and environment in which they live. A: Seven years. I had guided part-time three years prior to that. A: My favorite styles of fishing are with a Jig, Texas Rig Worm, Finesse Worm and Swim Bait. Q: Who is your favorite Bassmaster Pro? A: Scott Rook and Kevin Short. A: I have gathered a lot of techniques from Ricky Easter. We have fished together for 35 years and have qualified for national bass fishing tournaments. A: Primarily crappie, but will fish for anything that's biting. A: I only guide on Lake Greeson. We work closely with Arkansas Game and Fish Commission and local biologists to strategically place crappie condos (fish habitats) all over the lake. A: I supply everything my customers may need while out fishing, and send them home with fillets from the fish they catch. Guests literally just have to step aboard and fish. I also have contests and drawings for our customers to win a free-guided trip. A: Six years on Lake Greeson and four years in the Gulf of Mexico targeting tuna. A: I would have to say my father, A.J. Krementz. He started taking me in the 70's when I was just a little boy. We would fish daytime and nights under the lights. I remember scaling fish for hours. 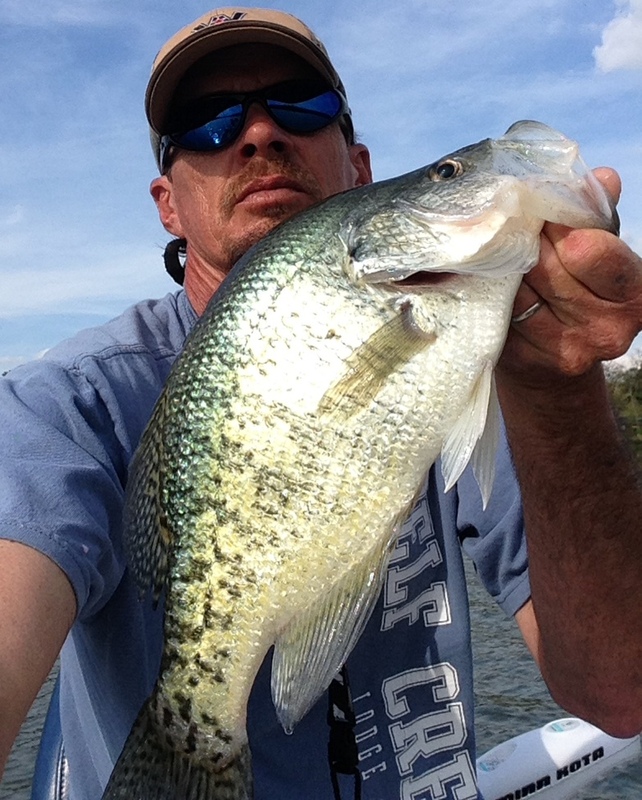 A: I love jig fishing for spring crappie. A: Rainbow trout, brown trout, bass, walleye and crappie. A: The first 18 miles of the White River from Bull Shoals to Cotter for rainbows and browns. Bull Shoals Lake for bass, crappie and walleye. A: I target trophy brown trout with stick baits. I teach a Fly Fishing School through Gastonís Resort. A: I've been guiding for 32 years. A: My uncle, Paul Saksa, taught him how to fly fish and how to tie flies. Jim Wakenight inspired me with lake fishing. A: Artificial baits, both casting and flying. A: Mike McClelland and Chris Lane. A: Trout, small mouth, hybrid stripers –anything that will hit a fly. A: The Little Red River, White River, Norfork River and area lakes and streams. A: I provide everything from flies, leaders, rods and reel - even lunch. Beginners are welcome. I'm the only Arkansas guide endorsed by Orvis. I am sponsored by Fayettechill, and am the only pro staff member of Supreme Boats. I was the 2007 Orvis Guide of the Year, and won the 2012 Orvis Guide Service of the Year award. A: For over 20 years. A: Dale Fulton. He was one of the original Arkansas fly fishing guides. He owned Blue Ribbon Fly Company. A: I love to cast streamers for big browns.